Allegations of Russian meddling in the Brexit referendum have been proven false after it emerged that less than a dollar was spent on Facebook adverts to influence the vote. So, if Russia is not to blame, why did people vote Brexit? Matt Goodwin explains. Facebook made waves on Wednesday when it announced that Russia had actually spent… 73p ($0.97) on ads to influence the Brexit referendum. The US internet giant revealed the figures after the Electoral Commission delved into Russia’s alleged Brexit collusion. In total, three adverts from the Kremlin-backed Internet Research Agency were seen just 200 times during the entire two-month campaign period. So potentially as much as 0.0006 percent of the electorate saw them. Matt Goodwin, an international relations expert, told RT that it is “very unlikely” based on that evidence, that any Russia-linked Facebook accounts or so-called Twitter “bots” played any significant role in Britain’s EU referendum. The latest piece of evidence “really adds up to this story by completely undermining the claim that Russia-backed Facebook ads somehow duped thousands of voters into voting for Brexit,” he noted. 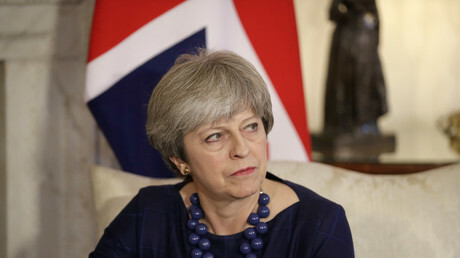 When asked about the Electoral Commission probe, Prime Minister Theresa May told parliament in November that the UK government takes “very seriously issues of Russian intervention, or Russian attempts to intervene, in electoral processes or in the democratic processes of any country.” Was there a need for an investigation given that May said the “influence” did not change the results of the vote in any case? Goodwin said there are at least two answers to this question. “One is that every democracy needs to investigate any allegations of involvement by other powers in their democratic decisions,” he said. “But there is another reason, which is that for many Remainers, I think, it has been a very difficult 18 months trying to make sense of what happened at the 2016 referendum. Trying to understand that most of those who voted for Brexit did so because they actually wanted to leave the EU, and instead of sort of brainstorm this idea that perhaps they were manipulated. The million-dollar question now, according to Goodwin, is if it wasn’t Russia, then what did lead people to vote for Brexit? “I think those on the more extreme end of the Remain spectrum will continue to look for this kind of mysterious force that must have manipulated people into voting this way. The reality, of course, is that most of those who voted for Brexit did so for pretty coherent, clear reasons: they wanted national sovereignty back, they wanted to control immigration. But there is a large chunk, I think, of the British commentary that struggles to accept that this vote was grounded in instrumental, coherent reasons,” he added.